One hundred years and one day after the first documented ascent of Mount Washington on skis, two grandsons and a great grandson of Carl E. Shumway, one of the three to make the first ski climb, celebrated the centennial with a ski tour along the route taken by the 1913 adventurers. It was on March 10, 1913 that a party of the Dartmouth Outing Club (DOC) made up of its founder Fred Harris, its third president Carl Shumway and Joseph Cheney made their way up the eight-mile Mount Washington Carriage Road on an uncharacteristically clear day with mild 19-degree temperatures on the summit. The road they took, long since re-named the Mount Washington Auto Road, runs for four miles above the timberline, and the group roped themselves together like alpinists for both the ascent and the run down the icy upper stretch. Carl Shumway in Tuckerman Ravine in 1937, nearly a quarter century after the first documented ascent of Mount Washington on skis. 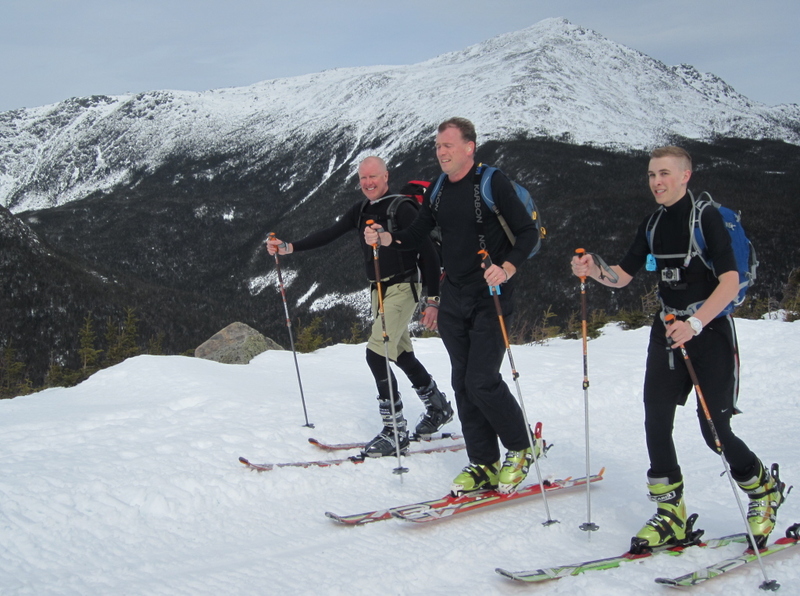 On March 11, 2013 Shumway’s descendants, Bo and Wyatt Adams of Rochester, NH and Charlie Adams of Ballston Lake, NY retraced the tracks of the early party, using modern alpine touring equipment with climbing skins (but no ropes), provided by EMS North Conway store manager Michael Scontsas. Much about skiing has changed since 1913, but the alpine touring equipment used harkens back to the days before ski tows, when climbing was an essential part of the sport. The Auto Road itself is much different than in 1913, and as part of the Great Glen Trails network is normally off-limits to alpine touring equipment. Carl Shumway was the manager of the road and its associated Glen House hotel in the summer of 1913, and he remembered it as the last summer that four-horse teams were used to carry visitors to the summit. Before the transition to auto traffic, Shumway sold gasoline via siphon from barrels to the few cars that appeared. Today in winter, snow tractors from the Mount Washington Observatory and Mount Washington State Park travel the road, using their plow blades to level a path across what were steeply angled snow slopes when the DOC group made their ascent. Tracked SnowCoaches of the privately-owned Mount Washington Auto Road routinely take visitors to treeline over the snow-packed lower four miles. Bo Adams, Charlie Adams, and Wyatt Adams emerge from timberline with Mount Adams (no relation) in the background. DOC parties to the mountain were common in the 1910s and 1920s, often on the long weekend in early March afforded by town election days. In those years before the extremity of the mountain’s weather was documented by the Mount Washington Observatory, Dartmouth climbers were unaware that they were venturing into terrain that features some of the most difficult winter weather conditions on earth. With the modern benefit of that knowledge, the 2013 party of Shumway descendants decided to conclude their climb five and one half miles up the road as the wind rose to uncomfortable levels. Modern skis with deep sidecuts, steel edges and bindings that firmly fix the heel made the descent from the top of the Cragway grade a much more pleasant, if perhaps less thrilling, ski run than the 1913 ski pioneers experienced. Shumway’s account of the trip notes that bridge planks on the carriage road were taken up in the fall, requiring the skiers to jump the gaps. Bo Adams on the descent of the 5-mile grade, where his grandfather Shumway skied roped to his companions a century ago. On the day before their summit ascent, the Fred Harris-Carl Shumway party of 1913 was also the first to use skis to travel to Tuckerman Ravine, where they skied down from partway up the headwall. Today, thousands of skiers visit Tuckerman in spring, attracted by its deep snowpack and steep slopes. 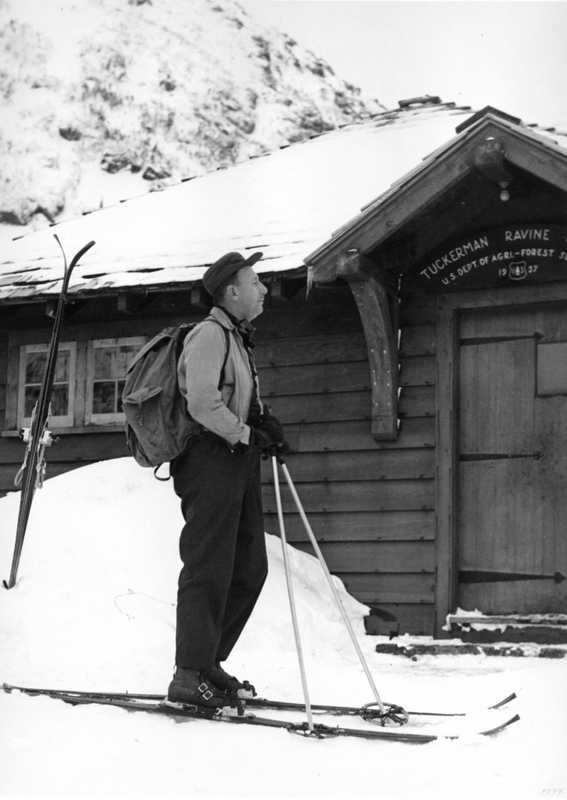 Within two decades of the DOC’s pioneering expedition, skiers had come to the realization that the ravine was the premier ski site in New England, while snow conditions above treeline on the mountain are normally less than optimal for skiing. 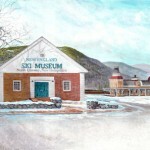 After graduating from Dartmouth, Carl Shumway had a hand in the operation of snow trains by the B & M Railroad, edited a ski section of the Boston Evening Transcript titled “Old Man Winter,” and organized the first ski show in New England, the 1935 National Winter Sports Exposition and Ski Tournament in the Boston Garden. Bo Adams, an insurance executive specializing in ski area coverage and the president of New England Ski Museum, continues the family tradition of deep involvement in skiing established by his grandfather. Fred Harris followed up his founding of the DOC with similar roles at the outset of the US Eastern Amateur Ski Association and the Brattleboro (VT) Outing Club, and a stint as vice president of the National Ski Association. 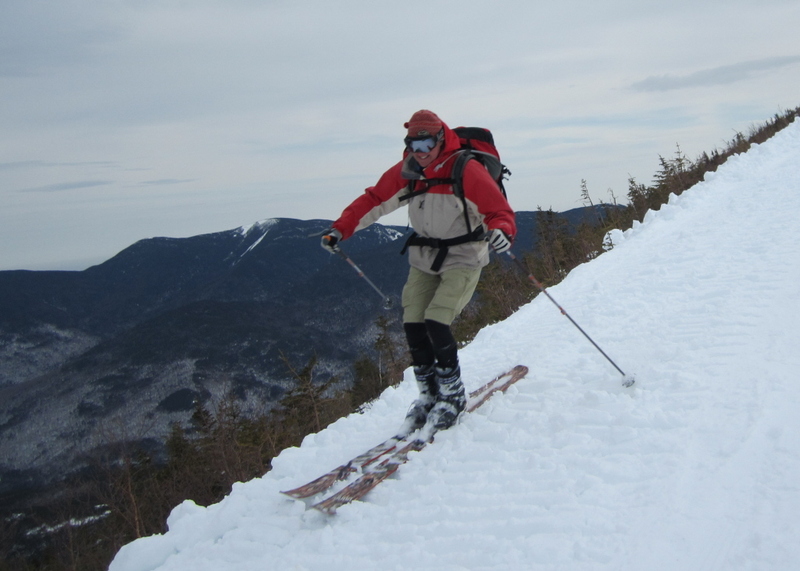 Joseph Cheney, the third member of the summit ski party, who had never seen snow before attending Dartmouth, spent his career after college in his native Florida. The New England Ski Museum collects, preserves, and interprets objects and manuscripts that relate to the history of skiing in New England and elsewhere, and keeps track of obscure skiing anniversaries.